Preheat grill for direct grilling on medium-high heat. Carefully oil the grill grates (tongs and oil-soaked paper towels do a good job of this). Place pineapple slices on the grill. Grill for about 2 to 3 minutes per side, turning once during grilling. Transfer slices to a cutting board and dice into ¼" cubes. 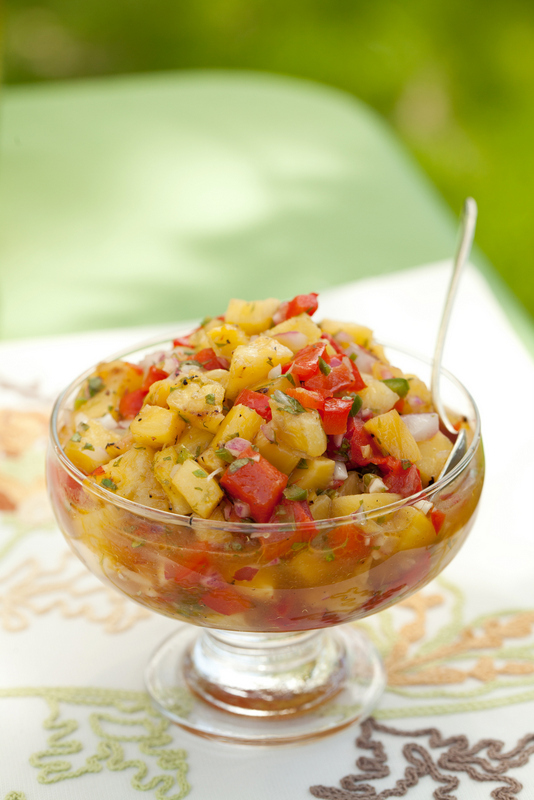 Place diced pineapple in a large mixing bowl, and add all remaining ingredients. Season to taste with salt, pepper, and additional lime juice if necessary.